Forecasters have issued a yellow weather warning for areas of the north-east and central Scotland, with persistent and heavy snow expected. The Met Office extended their area of concern to include parts of Aberdeenshire and Grampian. 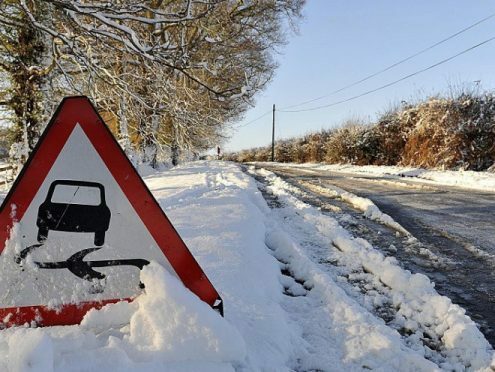 Forecasters said heavy snow should be expected into the weekend, with 5-10cm likely in areas about 100m and 15cm possible in areas above 200m. Coastal areas were warned to expect an uncertain mix of rain and snow, with rainfall likely to bring the risk of standing water on the roads. “This has stalled across eastern Scotland for a time early on Friday and will go on to push away east or south-eastwards through the course of Friday. 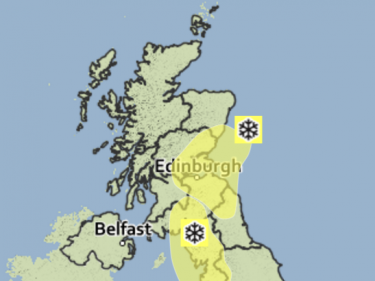 “The highest snowfall accumulations look likely to be away from the northern and southern fringes of the warning area.